Luxury watchmaker TAG Heuer will ramp up production of its new smartwatch, posing a serious threat to Apple. Smartwatches have taken the world by storm, and all of the giant tech companies have rushed to grab their share of the market over the past year. Despite the massive resources behind companies like Apple and Google, the products have largely failed to live up to the hype. But that doesn’t mean that watches that can connect to the internet don’t have a place. While technology companies struggle to make their designs appealing to fashion-minded consumers, one firm has called on more than a century of watchmaking experience. TAG Heuer has made a bold entry into the smartwatch game as it prepares to increase its production in the coming months. According to a report from Bloomberg, the company will increase its weekly production from 1,200 pieces to 2,000 pieces to meet demand from retailers, agents, and affiliates for roughly 100,000 units. TAG Heuer will ramp up its production to 2,000 pieces each week, according to an e-mail from Jean-Claude Biver, the company’s CEO. The watch will still be difficult to get your hands on, however; online sales of the smartwatch likely won’t start until May or June. Physical retailers will take precedent while supply is still tight. The company is one of the first luxury firms that have made an effort to enter the smartwatch market, and its $1,500 price tag lets TAG Heuer fans know that the smartwatch is the real deal. 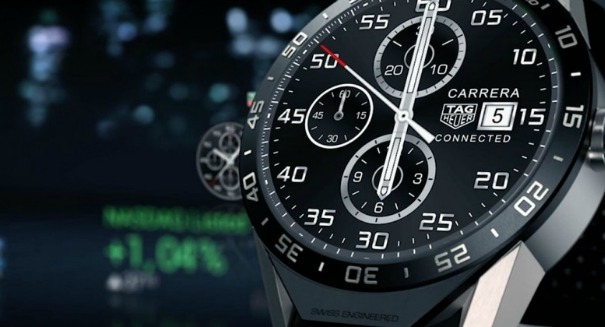 The watch is modeled after TAG Heuer’s classic Carrera model and will use technology from Google and Intel Corp.
A press release from TAG Heuer describing the watch can be found here.